Chance Foundation envisions a world were all children have access to basic health necessities and services. We believe that health is one (of three) pillars which are critical to improving the well-being of underprivileged children worldwide. In pursuit of this goal, Chance Foundation funds and/or leads health-centered projects which are classified as follows; 1) improving access to healthcare facilities, 2) ensuring access to and the dissemination of life-saving technology, 3) facilitating access to regular check-ups with medical professionals, 4) enabling access to basic human needs including clean water and proper nutrition, 5) improving the environment of children living in unsanitary/unhealthy conditions, and 6) funding programs focused on mental health, bullying, nutrition, etc. 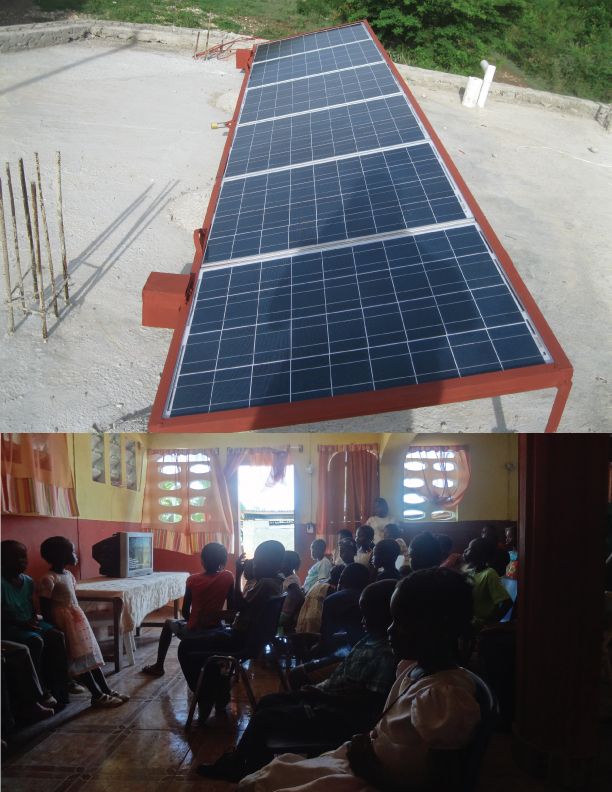 We have several completed and ongoing health-centered projects both locally (Ottawa, Canada) and abroad, as outlined below. In collaboration with the Eastern Ottawa Resource Center (EORC), Chance Foundation provides funding for a mental-health program called Keeping it Cool (KIC). This 10-week group workshop is a strengths based program that focuses on youth, ages 12 -18 years, in the areas of social skills building and conflict resolution strategies. Participants will explore issues related to anger while at the same time focusing on concepts such as fairness, responsibility and respect. The core components of the “Keeping It Cool” program are delivered through psycho-education, self-monitoring, facilitated group discussions, handouts, role-plays, and information sessions for parents/guardians, school staff, and other community members. Chance Foundation will provide funding for this program in 2015. To learn more about fundraising events to support this effort, visit our Events section. In collaboration with the Eastern Ottawa Resource Center (EORC), Chance Foundation provides funding for a mental-health program called Young Women on Wellness (YWOW). This program is aimed at providing at-risk young women (aged 16-21) with support and information on healthy relationships, self-esteem, budgeting and mental health. This is an 8- 10 week program where the young women come together for discussion and activities related to the above mentioned topics. Recent feedback in surveys and testimonials indicate that the YWOW program was a positive experience for the young women who participated. Chance Foundation has provided funding for this program for two consecutive years (2014 & 2015). To learn more about fundraising events to support our continued efforts, visit our Events section. 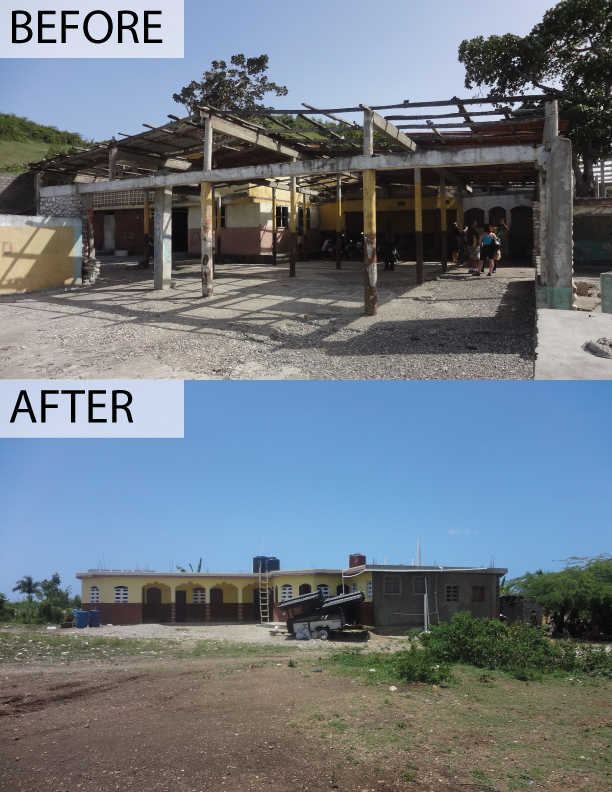 In partnership with Jérémie’s Children, Christiane Malenfant, and Amigas (Ottawa), Chance Foundation has been contributing to the construction of a new orphanage in Jérémie, the capital city of the province of Grand’Anse in Haiti. The Emmanuel Orphanage, which supports over 50 orphans, was operating out of a building with deplorable, unhealthy living conditions since 1993 due to a lack of better options. 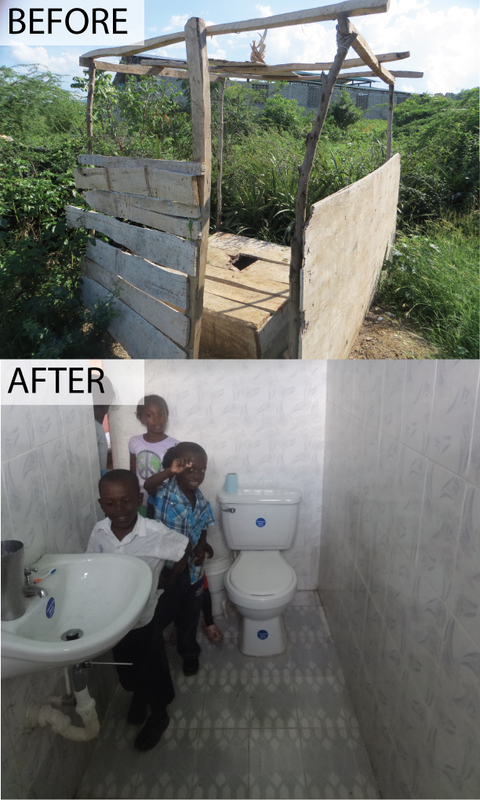 Today the children have been relocated to a site with 4 new buildings, and thanks to Chance’s fundraising and detailed management of this challenging project, the orphanage has running water, electricity, washrooms with showers, a stocked outdoor kitchen, and a garden. This project would not have been possible without the outstanding generosity of all those involved with Jérémie’s Children and Christiane Malenfant. A special thanks to Art Maye, Guy Lacroix, Cara Kallio, and Christiane Malenfant for everything they have done and continue to do for the Emmanuel Orphanage. We would also like to extend a special thanks to Amigas (Ottawa) who joined forces with Chance Foundation to ensure some very special children have access to clean, potable water, and other living essentials. To date, Chance Foundation has provided the orphanage with 1) running, potable water, 2) electricity, 3) bathrooms, 4) ceramic flooring, and 5) outdoor kitchen. o In support of running, potable water: We have installed two 600 gallon tanks, two 500 gallon tanks, and a 400 gallon tank. 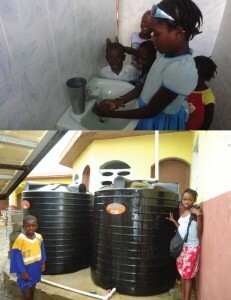 We have also installed all of the plumbing so the orphanage has running water and a system to collect rain water. We have performed a geological assessment to determine the best location to drill a well on the property, have identified a drilling company in Jeremie, and intend to drill the well as soon as funds become available. o In support of electricity: We have performed all electrical installations in the main building (a total of four buildings on the property). 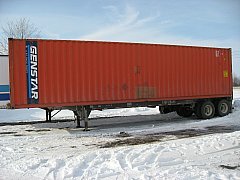 This also includes the purchase of an inverter, batteries, and solar panels. 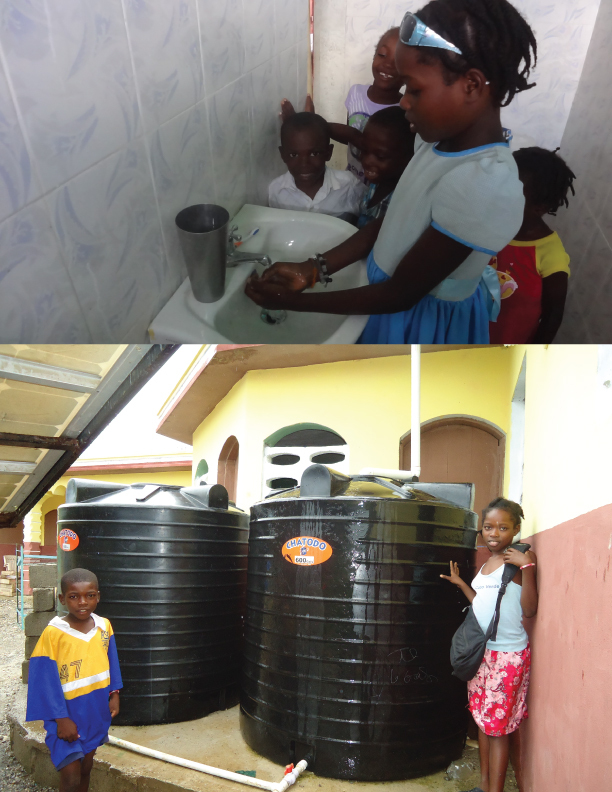 o In support of bathrooms: We have installed 6 bathrooms (three in a building adjacent to the primary building and three inside the primary building). o In support of flooring: We have installed ceramic flooring throughout the primary building. o In support of kitchen: We have built and stocked an outdoor kitchen. For our first project, Chance Foundation chose to bring help to the Oscar Jandl hospital in San Cristobal, Ecuador. During the research phase of this project, we were shocked to find out that 50 per cent of the people in this community fall below the poverty line and that infant mortality statistics are roughly five times higher than in Canada. 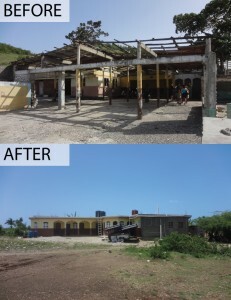 The Oscar Jandl hospital, which serves 90 per cent of the community in San Cristobal, was in desperate need of medical equipment and supplies and Chance Foundation wanted to help. 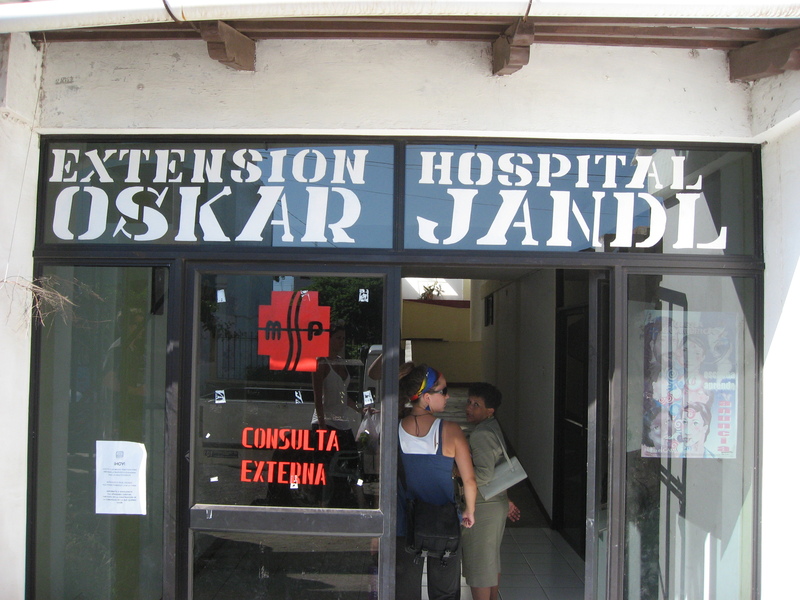 It took Chance Foundation only one year to raise the money to ship $250,000 worth of medical equipment and supplies to the Oscar Jandl hospital (San Cristobal, Ecuador). In March 2008, Chance Foundation’s President, Shannon Tessier and CEO, Lorna Lemay, had the honour of delivering the supplies to Ecuador. This incredible experience allowed them to witness first-hand the difference Chance Foundation is making. The equipment had been generously donated by Mr. Dave Smith, an Ottawa philanthropist who collected the supplies from Ottawa hospitals. To learn more about the fundraising events which supported this effort, please visit our Events section.